Café Français opened its doors in Colombo in November 2014. I must admit that I didn’t venture that way due to the notion that it was a high end restaurant serving really expensive food that was just not worth it, but I was so wrong. The ingredients and care that is taken on the dishes that come out at Café Français are exceptional. Using the finest of ingredients and the simplest of flavours has resulted in some of the most mouth watering dishes I have come across in the city. The food isn’t essentially French but French techniques go into preparing the dishes while the notion that it is fine dining is wrong. You can come dressed anyway and just enjoy yourself. 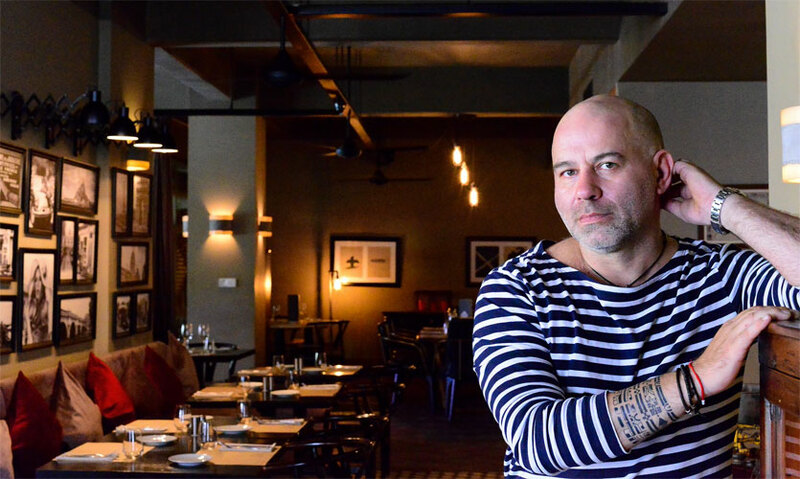 The restaurant is open to anyone single or married, gay or straight, young or old, Jean-Charles Toussaint, Co-Founder – Director, Café Français said. He also explained that there is something for everyone here – the average spenders or the big spenders. 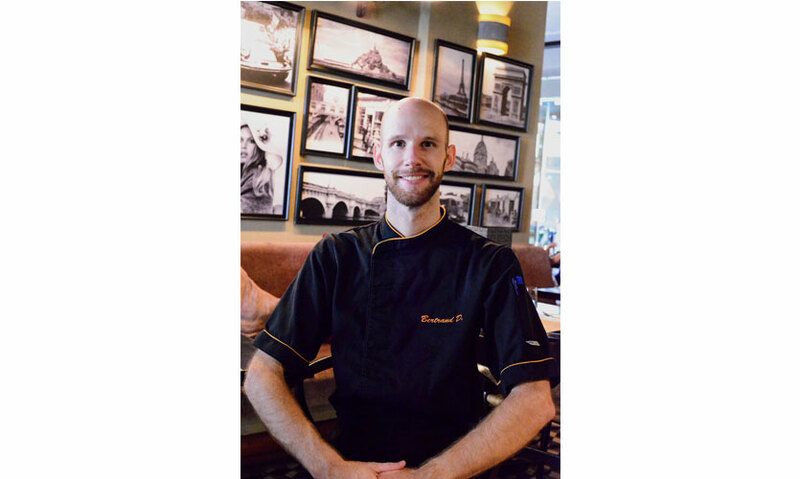 Jean-Charles along with Bertrand Dubois, Chef, Café Français ensure that your experience at their restaurant is worth every moment and every cent you spend. 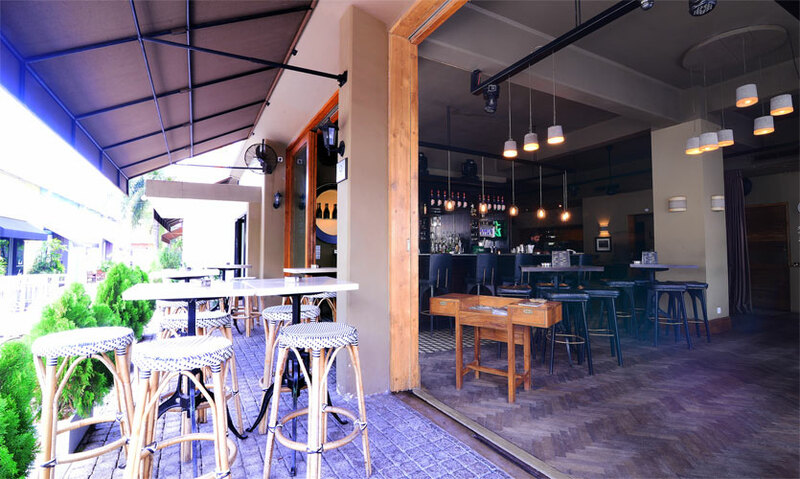 One aspect that struck me throughout my afternoon at the Brasserie is how the laid back atmosphere and the funky tunes coupled with the delicious food transported me out of Colombo and took me on a culinary journey to France. What one must understand is that the ingredients that go into the dishes are among the best they can source while the cheeses are imported weekly from France and the sauces are all made from scratch. This means your meals are bound to be a little more expensive but take my word for it, every bite is worth it. We started off with their Tuna just Seized, Hummus and Caramelised Dried Fruit (Rs 690). 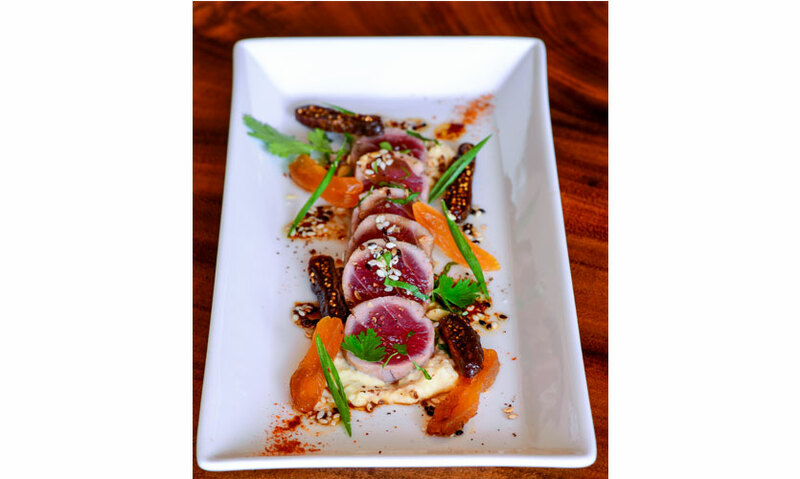 The sweetness of the caramelised figs and apricots coupled with the creamy hummus and the fresh sashimi grade tuna made for a fine starter bursting with smooth flavours. It was my first time tasting snails and I will definitely go back for more if it is in the form of French style Snails with Garlic Butter and Parsley (Rs 1,590). 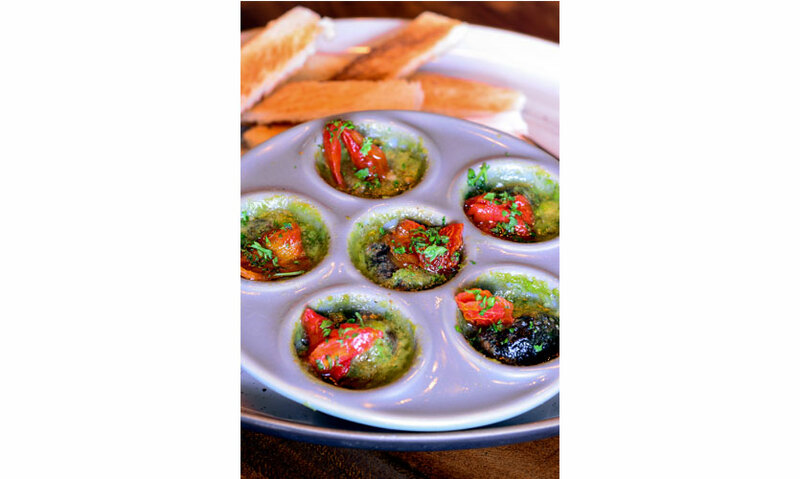 The sun dried tomatoes, the chewy mushroom like texture of the snails and the delicious Garlic and Parsley Butter was splendid. 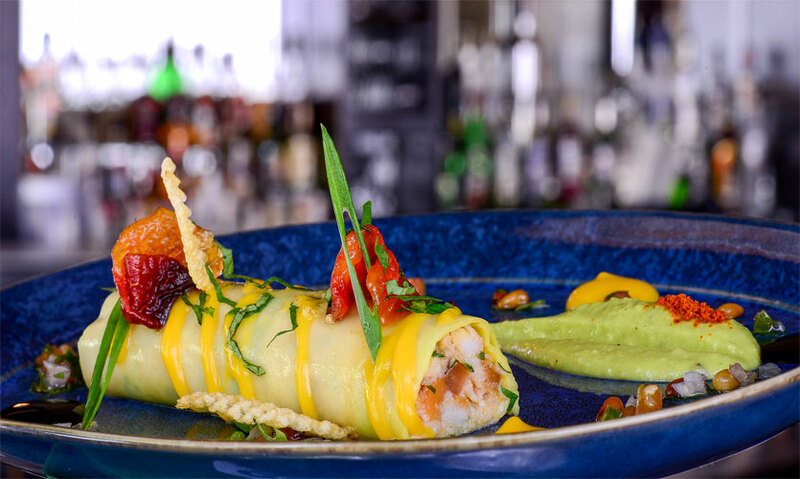 The crazy flavours of the tropics which came through with the mango and avocado coupled with the delicious crab and the tart dressing in the form of the Crab Cannelloni with Mango and Avocado, Virgin Sauce Dressing (Rs 990) was also special. 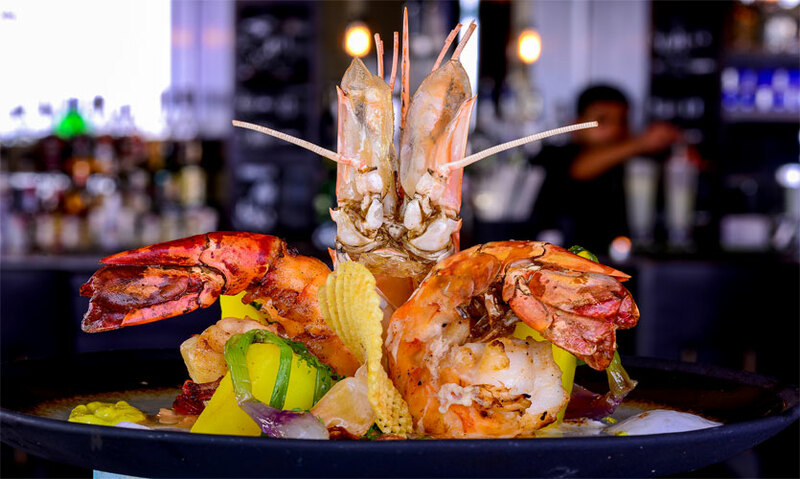 We then moved on to the succulent Jumbo Prawn cooked ‘a l’armoricaine’, Grilled Scallions (Rs 2,390) which was scrumptious. The creamy tomatoes and grilled scallions added a lot of flavour to this dish. And we loved the Diablo (Rs 1,690) which (like all their meat based burgers) is a burger made using 100% Australian Black Angus Beef. We opted to have medium rare while the bravas sauce, along with the fresh tomatoes, onions, emmental and salad made for a really fine burger. 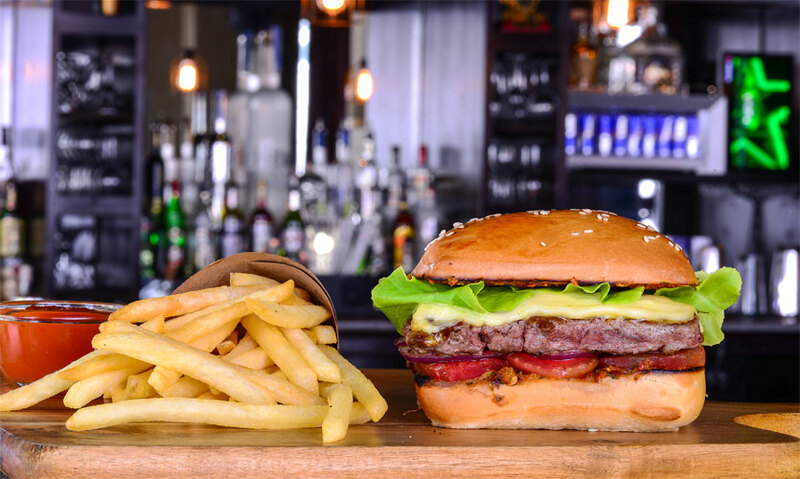 The homemade square shaped bun meant that you had more of your spicy burger intact than with a round bun while the homemade ketchup complemented the French fries beautifully. 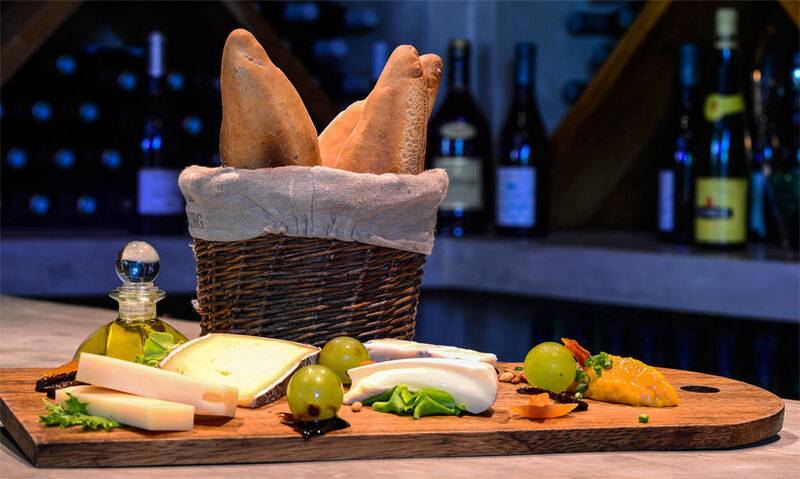 If you love cheese as I do, you won’t be disappointed with their French Cheese Platter (Rs 2,700) accompanied with fresh and dried fruit, nuts and homemade baguettes. 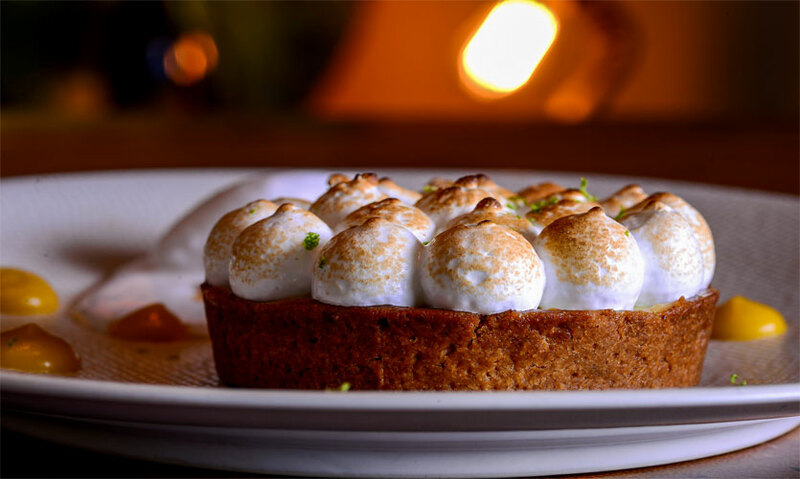 Before rushing off on his seriously cool motorbike, Jean-Charles picked a fine dessert for us to savour – the Traditional Lemon Tart (Rs 690). The sweet buttery base coupled with the intensely sour notes of the lime ice cream and lemon tart filling was balanced out so well with the sweet meringue which topped this beautiful dessert which meant it was a fine end to an afternoon well spent. The staff are extremely courteous while Jean-Charles and Bertrand are always ready to take on suggestions. could you please tell readers where is this exactly from col 6.